As the days get longer (and in this area of the country, much hotter) thoughts turn to swimming prospects, and inevitably to bathing suits. While it’s easy to ignore weight loss goals while bundled in coats and boots, once again at this time of year, they tend to move up in priority. So let’s dust off an excellent tool that will help jumpstart your quest to attain your perfect weight for your frame – and this year’s bathing suit. Begin a new food journal! Please don’t groan. The whole experience can now be much less labor intensive than years ago. In the past you could only write in your daily entries manually and then you had to research the nutrient content in a separate way. I’m so grateful to our original Renew HOPE Foundation clients who tracked their foods carefully during the years we offered those programs. The data we gathered multiplied in value later as we gathered research for Skinny Gut Diet. Fortunately, with the wonderful apps available to anyone with a computer or cell phone, the information gathered by the participants in our Skinny Gut Diet project was considerably less tedious. Today digital options for recording your daily eats abound, even including photo journaling. I thoroughly enjoyed the discussion of food journaling recently in the Wall Street Journal. While very useful for identifying food allergies and triggers for gut symptoms, far and away food journals are most commonly used for weight loss. The article points out a number of interesting studies that validate food journaling as a great tool in support of your weight loss goals. Over the years I have observed the people most successful with their food journal are consistent and accurate, carefully logging their foods until the habit is established. Then the accountability factor kicks in. As weeks go by, “aha” moments are joyfully attained and real and lasting change takes place. So why do a large number of people find the food journal process, whether computerized or handwritten, nothing but a tiresome chore? Truth is, it takes more than a just few days to achieve those “aha!” realizations, and far too often the commitment to journaling ends in the length of time it takes fish to spoil in the refrigerator! I appreciate the study info provided by My Fitness Pal stating that people who have friends on the app and connect regularly seem to lose twice as much weight as those who don’t connect with friends. Personally I think that interpersonal support is critical for almost everything in life. Another Power Tool – Sharing with Others! By the way, My Fitness Pal was the app we were able to edit and use in Skinny Gut Diet and we continue to appreciate it in our community today. 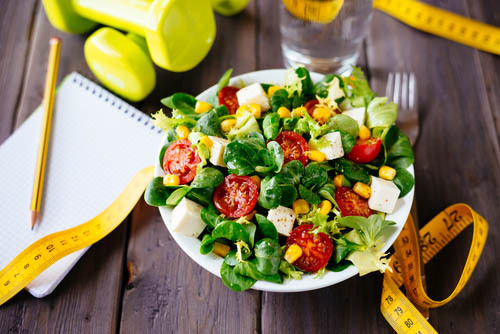 Because Skinny Gut Diet focuses on counting nutrients rather than calories, it was fortunate that the program allowed changes to be made regarding nutrients tracked. I also really liked the suggestion in the article to write out what you plan to eat and record it in your food journal before eating it. It seems the process can be a deterrent to poor choices. Planning ahead has always been the cornerstone of success – for me at least. Great idea! Some people enjoy merging food journaling with exercise tracking. It seems to help them to maintain interest. Others are best engaged when they can comment on emotional and physical experiences and relate them back to food choices. In Skinny Gut Diet we used food journaling as one of our Power Tools. Have you had success with journaling in the past? I’d love to hear your experiences! Just in time! I started thinking about getting rid of some pounds today! Thanks!